Part of being an artist is being a teacher. Directly or indirectly, through their work or their words, artists teach. 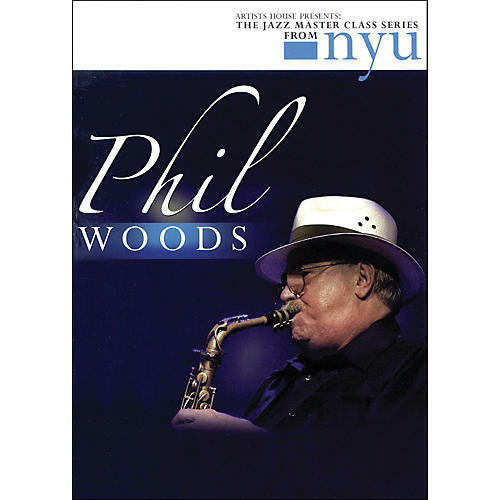 In this series of DVDs, some of the most important jazz artists are presented in a unique master class setting. They perform, they talk about their lives and work, students play for them and the comment and instruct those students. Students discuss their expectations before the class and their thoughts after the class. Viewers will observe learning taking place, and come to understand how great artists think, perform, and teach. We hope this series will inspire others to videotape and document artists as teachers and teachers as artists. This DVD was recorded and filmed October 9, 2005 at the Center for Jewish History, New York City. Songs performed include Yes, There Is a C.O.T.A., Goodbye, Mr. Evans, and What Is This Thing Called Shove. 3 hours, 23 minutes.